Imagine analytics so intuitive, anyone in your company could easily create personalized reports and dynamic dashboards to explore vast amounts of data and find meaningful insights. And imagine if this could be done while ensuring accuracy and reliability of data and analytics. That’s Qlik Sense— a revolutionary visual analytics platform that supports self-service visualization, guided analytics apps and dashboards, embedded analytics, group collaboration and reporting, all within a governed framework that offers enterprise scalability and trust for IT. 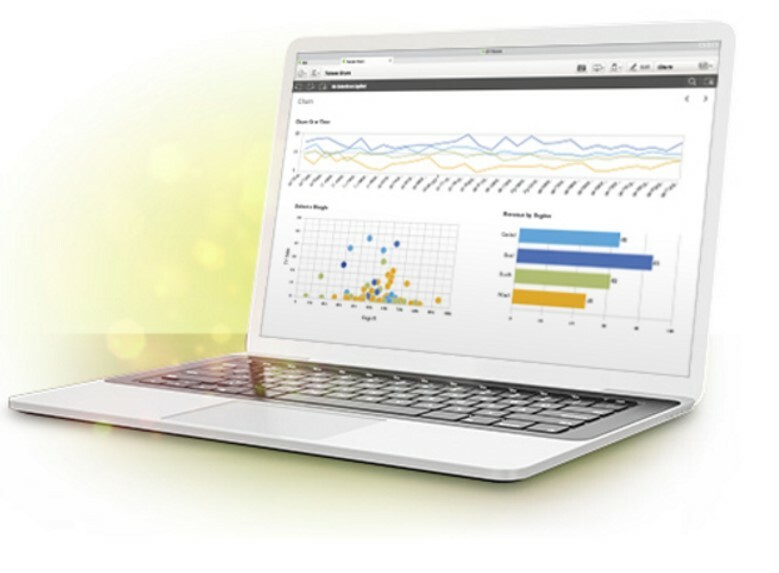 Qlik Sense lets you rapidly create visualizations, explore data deeply, and share insights instantly, to reveal connections in your data and see opportunities from every angle. 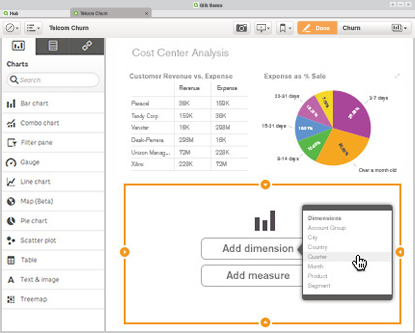 Qlik Sense makes visual dashboard creation simple and intuitive, but doesn’t stop there. Qlik Sense also makes it easy to explore the data so you can understand what’s happening and why. Ask questions. Follow your intuition. Seamlessly navigate vast amounts of data from multiple sources. Then share your insights visually and accurately with other users. Smart Visualizations use innovative new techniques to convey the meaning in your data. In combination with the patented Qlik data indexing engine, they are fully interactive and responsive. You can easily explore in any direction to discover insights that would have been hidden in query-based or hierarchical tools. Finding a balance between the needs of business and IT has always been a challenge. 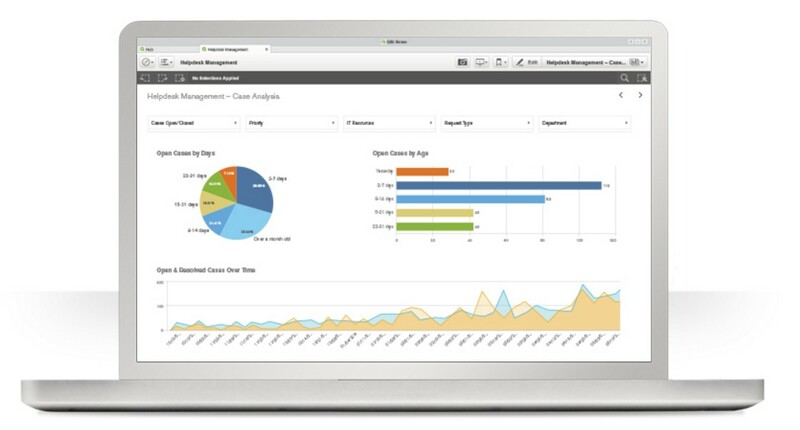 But Qlik Sense is visual analytics software that was designed to serve them equally: business users get total flexibility and agility while your IT team maintains centralized control and governance. Business users need to be able to explore data and answer questions on demand without waiting on IT to build or update analytics. But data needs to be secure, consistent and trusted—and Qlik Sense provides robust governance to make this all possible. Shared Object Library: Pre-defined dimensions, measures and visualizations ensure consistency of data and analytics. Progressive Creation: Allows you to grant users additional access to create their own visualizations, measures and data models as their skill level increases. Managed Data Connections: Ensure all applications use commonly defined data sources, with access controlled by security rules. Qlik Sense offers self-service creation for everyone, and gives developers a fast and powerful way to build custom applications, embedded analytics and extensions using standard skill sets and tools. Rapid Self-Service Creation: Easy-to-use self-service interface enables everyone to create visualizations using drag-and-drop techniques. Powerful Open and Standard APIs: Allows developers to build custom guided analytics apps, embed analytics in web pages and workflow applications, and create new types of visualizations and analytics to meet custom business requirements. Robust data integration, including big data: Profile and bring together data from multiple sources and systems—including internal, external, and big data sources—to a complete view and access to deeper insights.